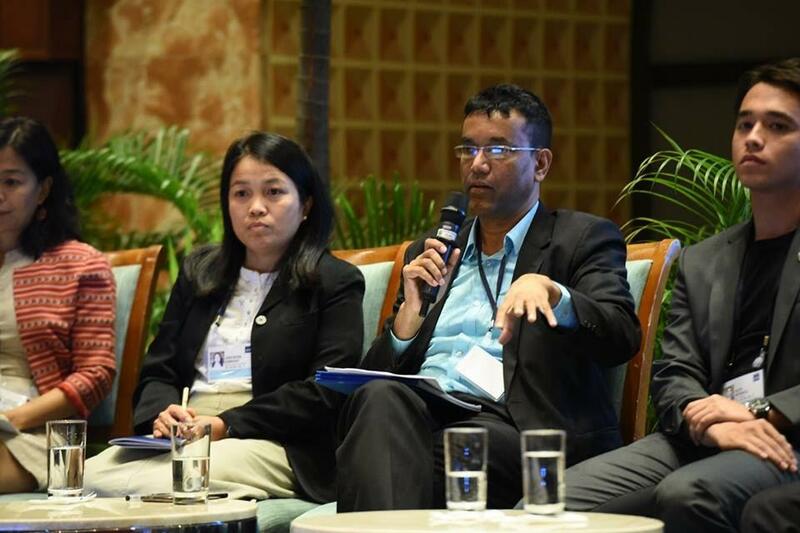 Mangrove Action Project CELEBRATING 25 YEARS: MAP staff member joins the 6th Asia-Pacific Climate Change Adaptation Forum 2018, Philippines. MAP staff member joins the 6th Asia-Pacific Climate Change Adaptation Forum 2018, Philippines. This was a great opportunity to experience my first time in the Philippines by joining such an event as the 6th Asia-Pacific Climate Change Adaptation (APAN) Forum 2018 held last 17-19 October 2018 in Manila by the UN Environment Programme. The event involved global participation and almost 1,000 delegates attended from government, the academic and scientific community, businesses, civil society organizations and NGOs, international development partners, media and youth from over 60 countries, focusing on sharing and learning from each other in a bid to proactively address the need to enable resilience for all, and avoid the worst impacts of climate change. I was invited to be one of panelists in the session on Technology & Practices under Ecosystem-based Adaptation (EbA) in the auditorium. Moreover, I was proud to be at the same discussion with Alex Rendell, the Thai celebrity and Thai actor who influences young people and the public to be interested in and support the environmental work in Thailand. The session highlighted green technology and infrastructure to help increasing the resilience of ecosystems. I shared Mangrove Action Project’s experiences and challenges using the practice of Community-based Ecological Mangrove Restoration (CBEMR) to show how it can increase ecosystems resilience by providing multiple services and reduce storm impacts on local livelihoods. At the beginning of the session I emphasized clearly that it is vital to recognize the role of other natural habitats along the coastal ecosystem such beach forest and sand dunes. As we see a lot of efforts on mangrove planting occurring in habitats where mangroves do not belong, especially tidal mudflats. It is also important to place greater focus and funding on protecting the ecosystems we have. I also addressed in other sessions that it is important to restore mangrove in the correct mangrove habitat in order to preserve the biodiversity of mangrove ecosystems and stressed that long-term monitoring is needed in order to gain the full benefits from mangroves for Climate Change Adaption. I spent most of my time between my hotel and meeting rooms only, and I met a lot of new friends and built a good network with people outside the mangrove society. My positive impressions of the Philippines is of friendly people and I have already planned to go back to see beyond the Manila conference venue and hotel where I stayed. One of the easy way to cash out ethereum to bank account any where in the world. then join us a our website, 100% positive feed back and trusted worldwide.